Home→Books by Jack Pransky→What is A Thought? For delivery outside the US please contact Jack before ordering. Shipping to US only. $4.00 will be added at checkout for shipping & handling. Wonderfully illustrated, this children’s book not only introduces young readers to the concept of thought but also the amazing power of their own thoughts. Authors Amy Kahofer and noted prevention specialist Jack Pransky tell a simple yet profound message: that our thinking creates our feelings and behavior, and when our minds are calm we have access to natural wisdom and healthy feelings. 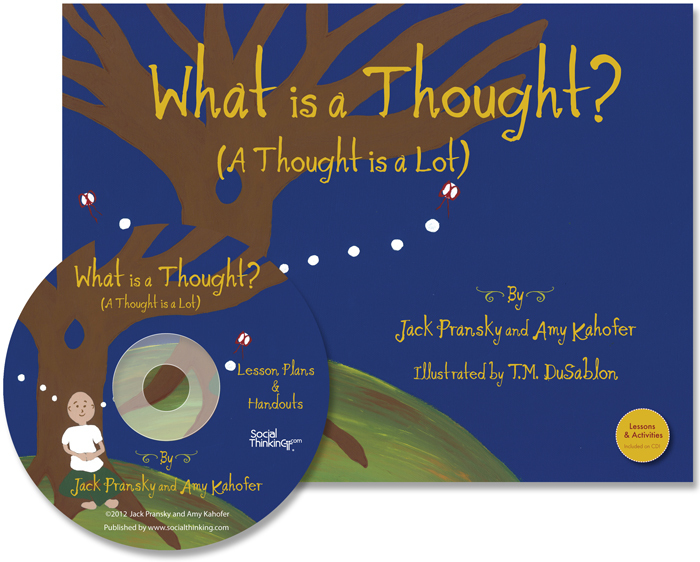 Lesson plans and activities on the enclosed CD transform a story into a teaching tool that can be used with regular and special education students alike to explore social thinking concepts such as perspective taking, abstract language, empathy and human relatedness. 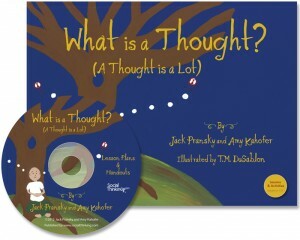 The book introduces children to the amazing, creative power with-in us all, called thought. It is not a book about changing thoughts or changing behaviors, but rather a story to help children (and adults!) see how their own thinking creates their lives, moment to moment, day to day. “What Is a Thought? is a charming children’s book with a two-fold purpose. First, it is an engaging story that introduces to the audience the concept of thought and the amazing power our thoughts have on our lives. As a read-aloud book it is perfect for parents to read with their children at home, and is a valuable and important book for all early elementary school teachers to share in their general education classes. – Peter Anderson, St. Peter’s Primary School Headteacher, Coggesehall U.K.
– Nancy Tarshis, MA, MS, CCC-SLP, Supervisor of Speech and Language Services at the Children’s Evaluation and Rehabilitation Center at Einstein College of Medicine.